Steve Stephens had been on the run since Robert Godwin Sr was shot dead on Easter Sunday. New York: The US gunman accused of murdering an elderly grandfather and posting the footage on Facebook killed himself Tuesday shortly after a brief police chase, bringing to a close a frantic nationwide manhunt. Steve Stephens, 37 and thought to have been mentally unstable, had been on the run since 74-year-old Robert Godwin Sr was shot dead on Easter Sunday, seemingly at random in broad daylight in Cleveland, Ohio. Facebook removed the footage in the hours after the attack, and chief executive Mark Zuckerberg acknowledged Tuesday that the world's largest social network had a role to play in stemming the worrisome trend. "There is a lot of work to do here," he told a Facebook developers' conference. "And we will keep doing all we can to prevent tragedies like this from happening." Police got the decisive tip-off after Stephens had been on the run for nearly 48 hours, when a McDonald's employee recognized him at a drive-thru in Pennsylvania shortly after 11:00 am (1500 GMT) and called authorities. "There was a short pursuit in which the vehicle was stopped. As the officers approached that vehicle, Steve Stephens took his own life," Cleveland police chief Calvin Williams said. Pennsylvania police said he shot himself with a handgun about a mile from the McDonald's following a low-speed pursuit -- at under 50 miles (80 kilometers) per hour. Tom Ducharme, owner of the restaurant near Erie, told CNN that Stephens drove up, placed an order and paid an employee, who recognized him and called police. The suspect, described as armed and dangerous, had been on the FBI's Most Wanted list. Up to $50,000 had been offered for information leading to his arrest. Stephens worked for a behavioral health agency serving children through mental health services, foster care and adoption, at-risk youth and other programs. 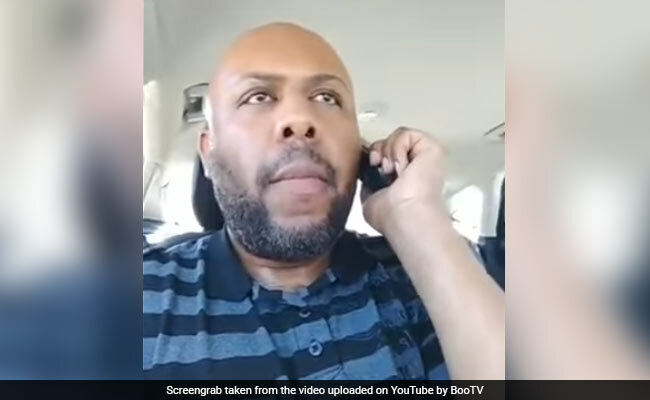 But according to a timeline of events pieced together by police and Facebook, Stephens posted a video on Sunday afternoon saying he intended to kill, and followed up two minutes later with video of Godwin's shooting.